﻿ The Rommanee Classic Guesthouse, Phuket | FROM $20 - SAVE ON AGODA! "Clean basic hotel, great location." Have a question for The Rommanee Classic Guesthouse? "The hotel located near Jungceylon shopping mall." "Staff are friendly and accommodating." 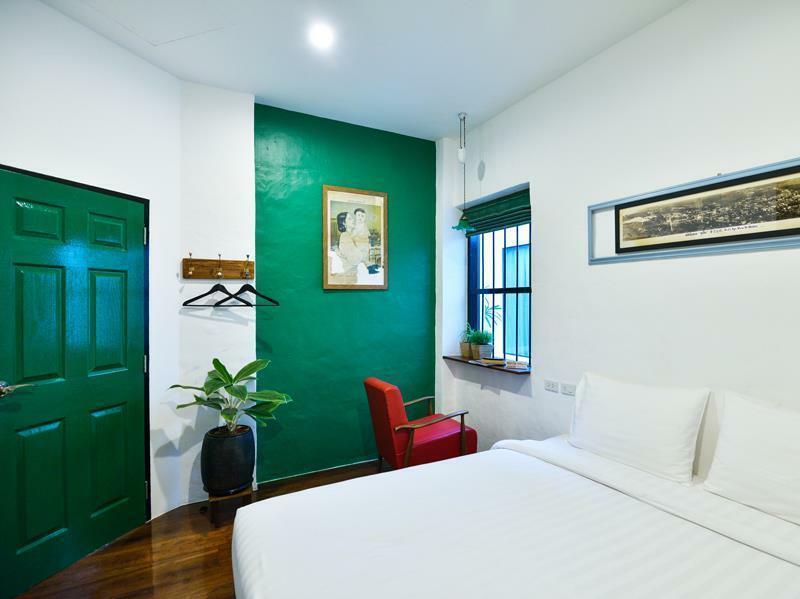 "The best location in old town good staff"
With exceptional location ratings, the seven-bedroom guesthouse in Phuket Town, Phuket allows you to easily enjoy all that Phuket and its surrounding areas have to offer. 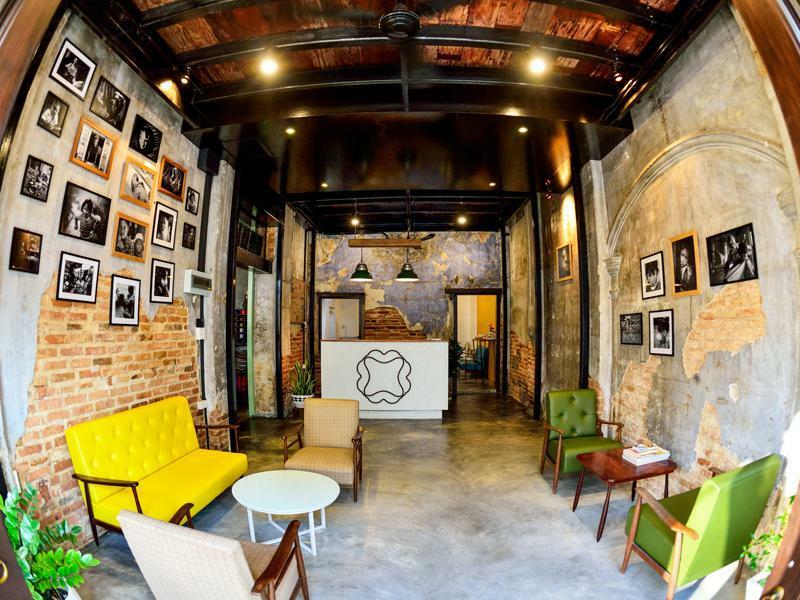 This guesthouse offers city views, giving you a glimpse of the busy city roads. It is close to Phuket Thai Hua Museum, Shrine of the Serene Light, Phuket Walking Street, Phuket Downtown Market, and Wat Mongkol Nimit. With tours available, this guesthouse is a great spot to stay to learn about the area and see everything you can while you're here. It has three floors and seven bedrooms. From daily housekeeping to laundry services, the guesthouse has a variety of convenient services for you to utilize. All of the rooms come with air conditioning, a hair dryer, and a shower, as well as a desk, free bottled water, and satellite or cable channels. There's free Wi-Fi in all rooms, as well as Wi-Fi in common areas, allowing you to stay connected to the internet without splashing out on international charges. This guesthouse has an assortment of transport options that include airport transfers and shuttle services. Phuket Bus Terminal 2 is 3.7 km away. The nearest airports are Phuket International Airport (HKT) and Krabi International Airport (KBV), which are 26.2 km and 69.2 km away. The guesthouse offers check-in from 02:00 PM and check-out until 12:00 PM. "Good place to stay if you want to explore the old town." Hotel is a good value, friendly staff, and good location. Phuket Town has a unique feeling, a true gem of Thailand for its unique building style and history. One of the few tourist areas in Thailand where local people on the street would say hello to you. Stay was relaxing and enjoyable. The enterance is a coffee shop downstairs, lots of seating. Coffee and snacks are good. Room is good, bed comfortable and Wi-Fi works well. Staff are friendly. Hotel is right across the street from the Sunday night market, highly recommended. 1) This guesthouse was renovated from old building. It was clean, nice and comfortable. 2) They just re-built down stair zone to be a cafe (coffee shop), approx. 3 months (as of arrival date). If you stay with their room up stair, there will be smell of roast coffee bean around their area. 3) Their cafe opens around 10:00 a.m., so breakfast not available, but it is convenience to find local breakfast in nearby zone. we just booked on short notice, no problem. they have 2 houses (classic and boutique), both are great and really affordable. in the center of Phuket City, easy walk to all bus stations. you get a cool city map here for free with all Hotspots and locations. i can just recommend it 🤘🏻🙏 Kop khun ka! Clean room, good shower. Bring earplugs if a light sleeper. No safe/lockbox in room. Fine for a quick stay. Lovely boutique guesthouse with nice room interior. Amazing shower, lovely staff. Quite a central location so can be loud at night. Watch out when brushing your teeth as the water was brown on my stay! Other than that - good all round and excellent value for money. A comfy little room strategic to nearby cafe and walking street. Staff is friendly and room is clean. You can ask bus driver in orange airport shuttle bus to stop on a crossing Thungkhar Rd and Yaowarat Rd (or show on a map, they don't speak english). From there is like 5min walking to this guesthouse. In the neigberhood are several good spots to eat and banks to exchange money. There are also ATMs but they charge you 220 baht for each withdrawal. The place is good for 1-2 nights. Clean, nice, just like on photos. Aircondition works good. Wifi was good too. Owners are kind but don't speak english very good. Nevertheless it was possible to communicate. There are 2 locations and we had two drivers for two separate people in our party get lost finding the location. Please be sure to notate if you're at the CLASSIC or GUESTHOUSE. Sometimes the drivers refer to either places as the "large or small Rommanee. There's a really great local restaurant that closes at 1am that I'd definitely recommend anyone to try it out. 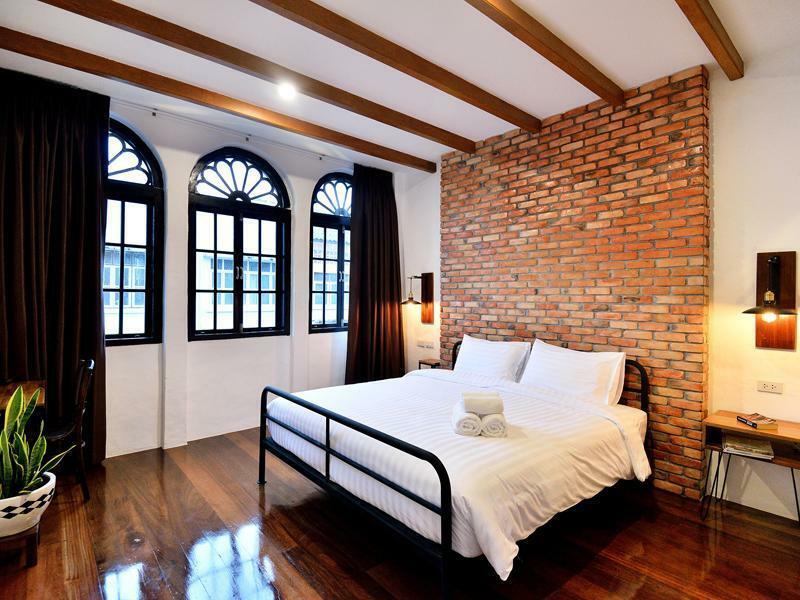 One of the finest guesthouse in Old Phuket. Room was neat and clean. With a nice street view. Staff was friendly. For location its a bit far away from the city buzz i.e . Patong beach in the evenings its more quiet. But old phuket has its own charm and beauty. A must stay. Good place to stay if you want to explore the old town. Clean basic hotel, great location. On top of a lovely café. Staff are friendly and accommodating. Only negatives is that room does not have any storage. Clean, comfortable, basic breakfast, great location and pretty good value! The hotel located near Jungceylon shopping mall. The only one issue is noisy from road. The hotel is in the center of old town of Phuket. It's a very nice place, easy to go to find dinner. Front rooms can be noisy. Tasteful rooms, sparsely furnished. Great people. Front rooms can be noisy. Adequate continental breakfast. Overall very good. Great people: owners and staff. Rooms stylish but sparse ( luggage on floor). Breakfast cereal, toast, bananas, coffee and juice just fine. Phuket city has motorcycles with loud pipes.